Dynamo Math aims to support pupils at risk of developmental dyscalculia and pupils performing significantly below their peers in math. The easy-to-use process and layout mean that teachers, parents and specialists can follow the seamless approach from assessment to intervention. The personalization feature offers a Global Intervention Pathway based on the assessment recommendations and this pathway can then be auto-customized. Standardized score and percentile rank are also included. The percentile rank describes the pupil’s rank or position when compared to other pupils who are of the same age. Why Do Some Pupils Have Significant Difficulties with Early Math? Dynamo Math Assessment has been developed from research and learning from neuroscience, assessments, early childhood development and education. 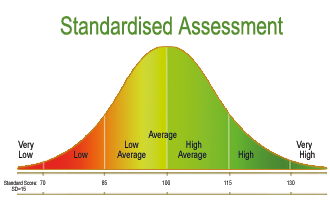 The standardized assessment is baselined for ages 6, 7, 8 and 9. For pupils above the age 9, age 9 baseline will be used. Whilst this is a guideline, the time taken is driven by the unique neuro-developmental profile of the pupil. 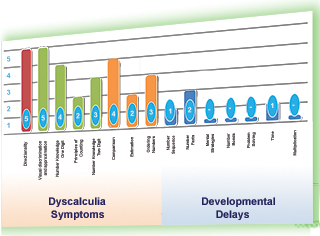 Dynamo Math Assessment can be used to screen pupils for symptoms of dyscalculia and as an early preventative tool so that pupils can be supported during their early formative years. This individual-difference approach used by the Dynamo Math Program is proving that children with developmental dyscalculia are making significant gains. 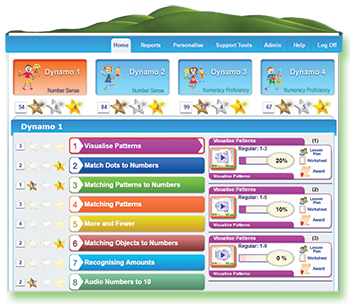 Dynamo Math Assessment is a dynamic, standardized, online assessment that has been developed to identify pupils at risk of developmental dyscalculia using the NumberSenseMMR™ framework. The scores in the assessment are reported within three areas: Meaning, Magnitude and Relationship. These reports, which bring all the assessments results and supporting co-occuring conditions information into one complete stakeholder report, which can be presented to support the Intervention strategies. 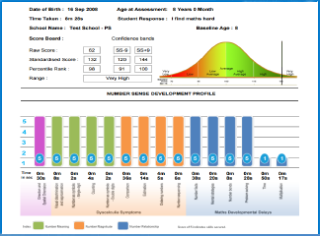 The individualized Number Sense Developmental Profile shows pupil’s strengths and specific areas of development. 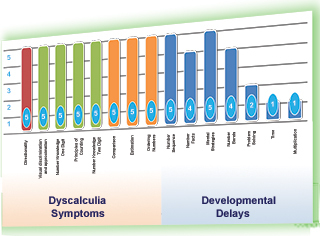 It also differentiates pupils at risk of developmental dyscalculia from those with math developmental delays. 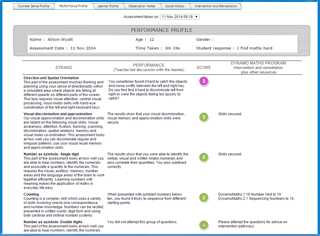 Student Profiler Questionnaire: captures the pupil’s SEN developmental profile and engages all stakeholders. Resource Utilization: a tool to assist the Review process of capturing the fidelity to intervention. It delivers a personalized pathway of developmental activities in small, cumulative steps identified from the assessment. These resources are organised in small-step developmental activities that start from Number Sense development, leading to Numeracy Proficiency (Foundation Math). The activities seamlessly confirm working memory and auditory association skills. The ready-made Lesson Plans include step-by-step instructions, aimed at developing understanding, building thinking strategies and boosting number confidence. Games and activities include concrete resources to familiarise pupils with mathematical language and relate math to real-world experiences. The Lesson Plans use resources with prompt questions to engage, and enter into to-and-fro communication. They provide a social focus to strengthen the skills of thinking, reasoning, communication, language, self-evaluation, moderation and reflection. 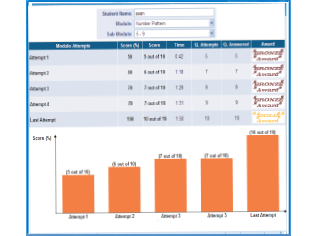 Easy-to-use Support Tools to measure and record the delivery of the Lesson Plans to mastery are integrated within the Program. The Worksheets provide reinforcement, practice and feedback. They highlight to the interventionist written errors, procedures adopted, reflective approaches and ongoing refinements until an automatized and meaningful solution is obtained.